I just love this time of year when those tender green leaves start shooting from the earth. There’s nothing like walking out to the garden with a pair of scissors and bringing in everything you need to make a fabulous salad for dinner. If you’ve made the decision to plant your own organic vegetable garden this spring, I truly applaud you! If you have children, they are learning an unbelievably valuable lesson by seeing how much work it takes to get a tiny seed to grow into an edible plant. Believe it or not, gardening isn’t as hard as you might think. Once you have a couple of basics under your belt, it really isn’t very hard. It takes a lot of work to tend to your garden, I won’t lie to you, but it’s well worth the effort (scout’s honor!). 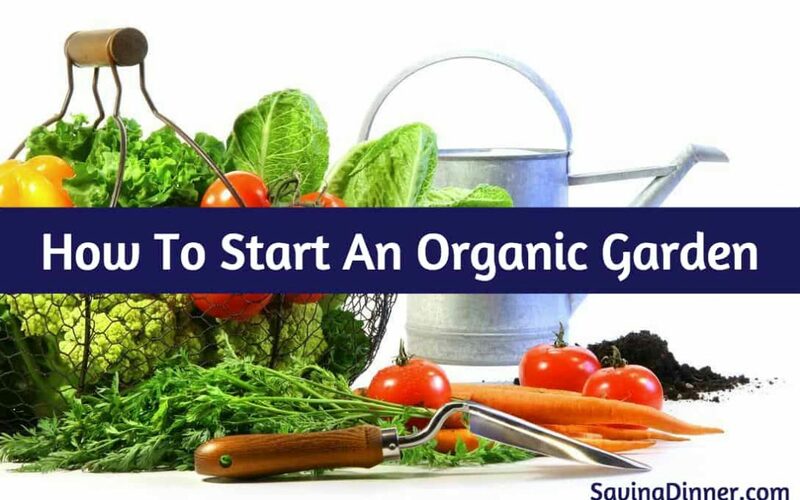 Plus, growing your own organic vegetables is also a very economical way to feed your family the absolute highest quality food that you can and stretch your grocery dollar. 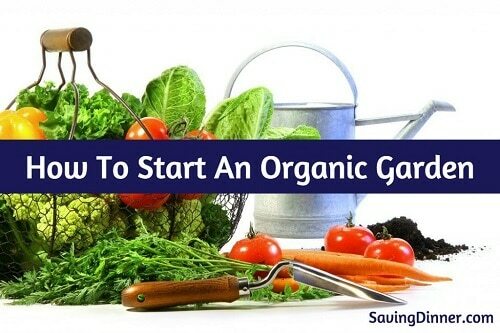 Here are the basic tricks and tips you need to start your own organic garden. 1. Gather your tools. You’re going to need a hoe, a pitch fork, a spade, a weeding tool and a trowel in order to plant your garden. You’ll also need a watering can and supplies to build a frame if you are going to do a raised bed rather than digging up the earth. 2. Buy organic seeds. Make sure you have a good quality source for organic seeds. This is especially important when it comes to corn, beets, soy beans, zucchini, yellow squash and alfalfa, which are some of the crops that are legally allowed to be genetically modified in the United States. 4. Make a bed. Three weeks before you’re ready to put your seeds in the ground, you’ll want to make your garden bed. The soil should be good and workable. The earth should be dry enough that it crumbles in your hand rather than clumps together. Dig your garden patch about 12 inches deep. Remove stones and weeds. Rake the soil on a regular basis over the next three weeks—this will help any weeds that want to make their way up do so before you plant your seeds. If you don’t want to dig a bed, you can make a raised garden. Measure the area of land you want to dedicate to your garden and put a layer of newspaper or cardboard down to prevent weeds from coming through the grass. 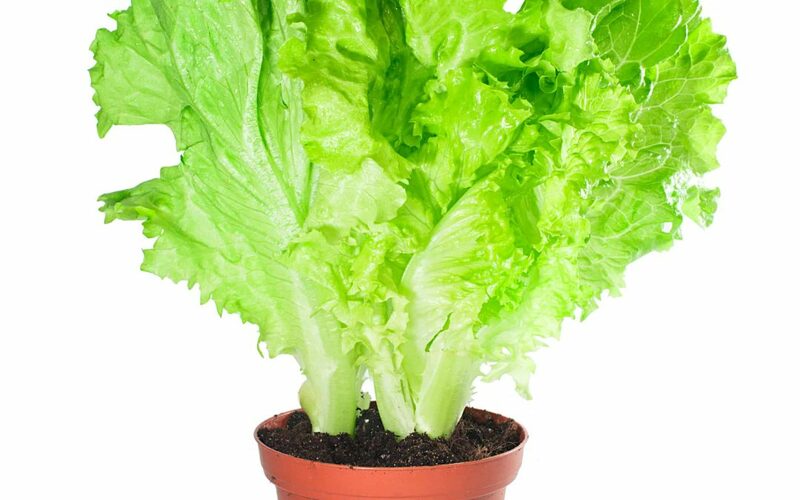 Build a simple frame about 12 inches high around your garden, and fill that with soil. 5. Add compost. Add a good layer of organic compost to the top of your garden and rake it into the soil. You can buy organic compost from a local organic farmer, purchase it from a garden store or make your own out of kitchen scraps,. Compost acts as a natural fertilizer, and it’s very beneficial for the soil. 6. Grid or rows. Decide if you want to plant in trench style (which requires a hoe to make long furrows to plant in) or in a grid pattern. There’s no rule here. You can be as organized as you want to be. 7. Add water. 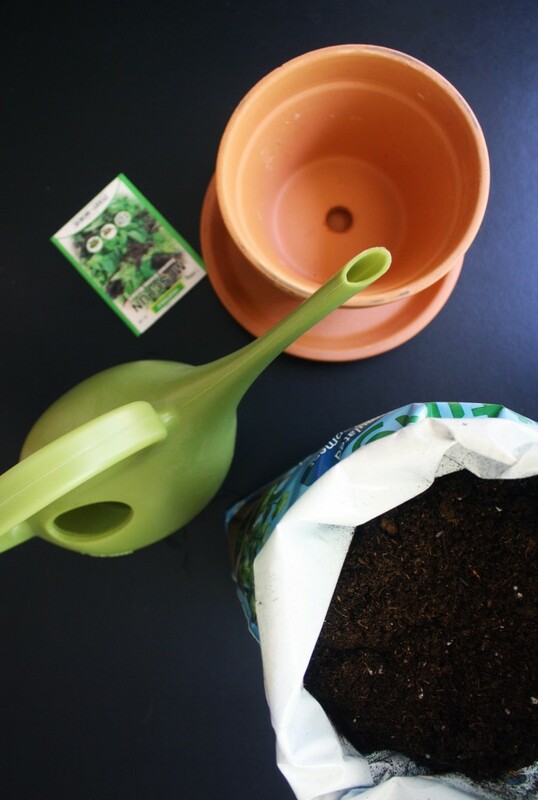 Lightly moisten the soil before you plant your seeds. You don’t want the seeds to get swamped with water. 8. Plant. Read your seed packets to find out how to space your seeds and how deep to plant. Cover the seeds with a small amount of soil. Until your seeds sprout, sprinkle water over the surface of your garden whenever it looks dry. A spray bottle is great for this, or a watering can will work but remember to only add a small amount of water. Gardening vegetables is so rewarding and such a great thing to do with the kids. There’s something very primal about eating food you’ve grown with your very own hands. Our New Dinner Answers will help you use all your produce, wherever it came from! Click here to read more! For a sweet juicy snack pick cherries! I just love the sweet, tart flavor of a juicy ripe cherry. But really, who doesn’t? Cherries are not only delicious, these delicate little fruits are also very healthy. If you suffer from gout pain, you probably already know that cherries can help prevent flareups but there’s much more to cherries than that. Cherries are known to reduce inflammation in the body and if you eat them on a regular basis, you’ll find they can also help reduce muscle pain. 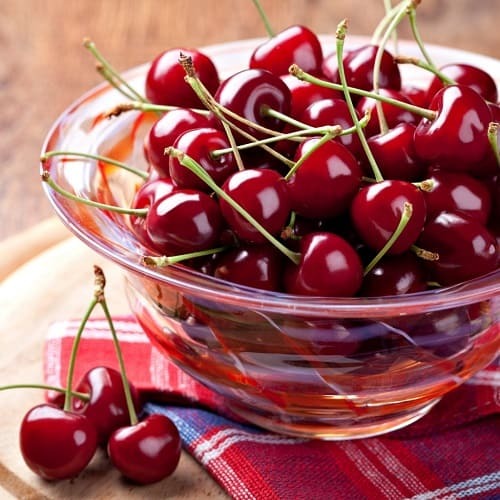 Some studies have actually shown that eating cherries on a daily basis is similar to regularly taking ibuprofen. 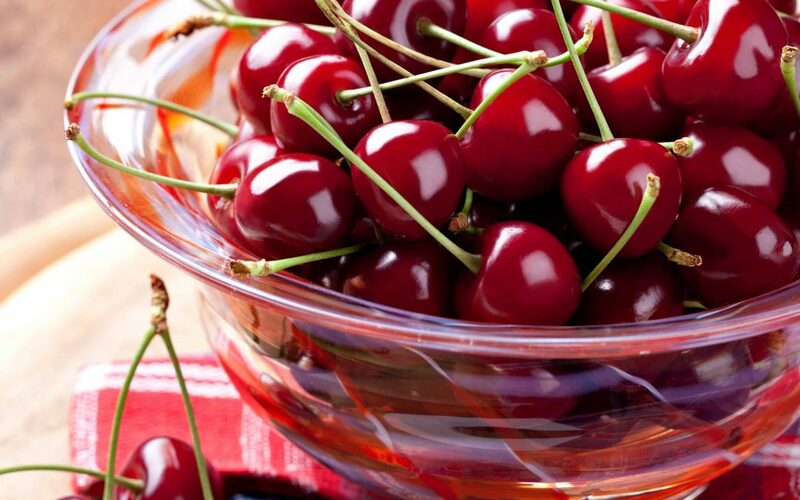 Cherries are also a good source of vitamin A, E and C, and they’re a yummy way to get your fiber into you. Tart cherries are available year round, and I use them frequently in savory dishes. During the summer when sweet cherries (also known as dark cherries) are in season, I am constantly snacking on them and tossing them into salads. So what else is there to know about cherries? Cherries bruise easily and they are very perishable. Cherries will only stay fresh in the fridge for a few days so eat them shortly after bringing them home. When shopping for cherries, look for fruit with the stem still attached. The stem should be nice and green and not wilted. A fresh looking stem is a sign that the fruit was picked recently. Heat the oil in a large, deep skillet with a tight-fitting lid over medium heat. Add onion, bell pepper and garlic; cook for 3 to 5 minutes or until tender-crisp. Add turkey, cherries, broth, brown sugar and balsamic vinegar; blend well. Bring mixture to a slow boil then reduce heat, cover and simmer for 15 to 20 minutes. Carefully remove skillet lid and stir in basil; cook for 1 to 2 minutes. Meanwhile, in a cup, combine cornstarch and water; stir into sauce and cook just until thickened. Serve immediately. I adore cherries and one of my favorite ways to enjoy them is turning them into epic smoothies! 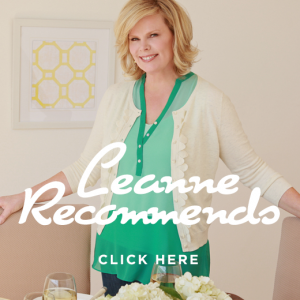 Here’s my favorite Chocolate Cherry Smoothie recipe! There are a lot of producers of coconut milk making it easy to pick up this delicious drink at the grocery store. Easy to swap dairy milk for coconut milk, it’s always in my blender in the mornings, making my breakfast in a glass smoothie! 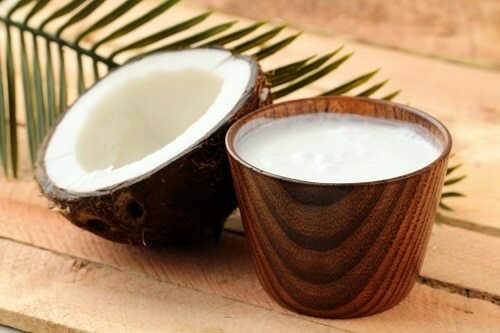 Coconut milk is rich in MCT (medium chain triglycerides) which gets used for fuel and is not stored as fat and satiates, keeping you full. Coconut milk is also rich zinc (think pretty skin), potassium (helps normalize blood pressure) and selenium (may decrease joint inflammation). After all that, I know you’re going to want to keep some in your fridge! Slip a little coconut milk in your cooking (fabulous with curries!) the antimicrobial nature of the coconut milk will help keep the cooties at bay! You can buy coconut milk in the can or the dairy case. My recommendation is go with the fresh stuff (So Delicious and Silk both make it, as does Trader Joe’s if you’re fortunate to live near one). Not only is it cheaper this way, but it’s fresher, too. To Assemble: In a large mixing bowl, mix all ingredients together. On a large sheet of plastic wrap, take crab meat mixture and pat into patties. Wrap each crab cake individually. In a 1 gallon freezer bag, add wrapped crab cakes. Seal bag, squeezing out excess air. To prevent freezer burn, place the filled bag in a second 1-gallon freezer bag; carefully squeeze the bag to force out any air, then seal. On the outside of the bag, label with the recipe name and date of preparation; place it in the freezer. Defrost your freezer meal the night before in the fridge. If you don’t have a full thaw at cooking time, remove it from the holding bags and place it in a sink of water to speed-thaw your food. 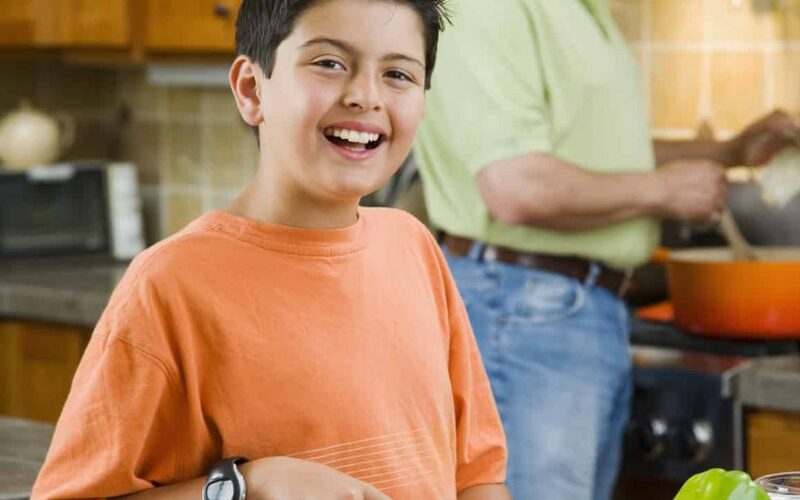 New rules allow for thawing in hot water (100 degrees) with no issues regarding quality or safety (old rules said to use cold water for thawing, but this is no longer necessary – hot water is fast, effective and safe). Cooking Instructions: In a large skillet, heat oil over medium and add crab cakes. Cook for 3 to 4 minutes per side, until brown on the outside and cooked through on the inside. Serve warm. If you want more fabulous recipes like this one (which is from our current Freezer Menu), click here! What sweetener protects against allergies? In an earlier blog post, I talked about the importance of honeybees, so naturally I wanted to feature honey in today’s post. After reading this article, you’ll have a great trick, a new tip and a fabulous recipe featuring my favorite sweetener—honey! Honey is one of the few sweeteners in the world that actually has huge health benefits. 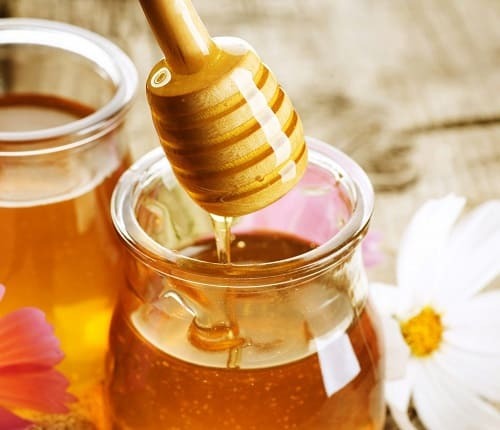 Honey is antifungal, antiviral and antimicrobial. That’s because bees produce a substance called propolis to fix cracks in the hive and to keep their home secure. It’s basically like bee caulking. This propolis is deposited into the honey and we reap the benefits when we eat it. Cool, huh? 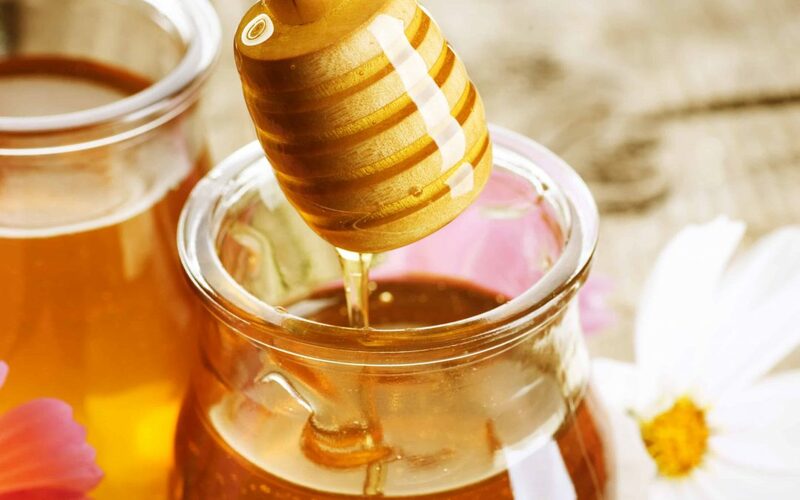 Besides being delicious, honey also contains phytonutrients which protect against cancer. Watch out for “honey blend” products you see in the grocery stores. That is not pure honey and often contains high fructose corn syrup! These manufacturers are required by law to label their product as a “blend” so watch for that word. Best bet is to buy local honey when at all possible. 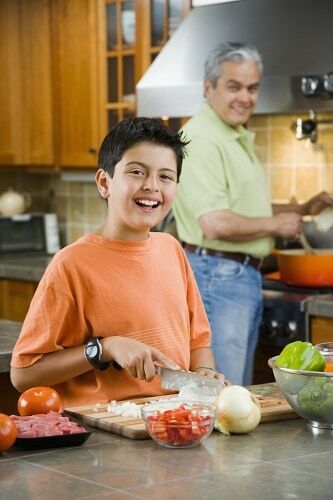 In a large skillet with a tight-fitting lid, cook sausage meat over medium heat for 10 minutes or until browned. Using a slotted spoon, transfer to a paper towel lined plate and set aside. Discard all but 1 tablespoon of drippings from the skillet and reduce heat to low. Add next 5 ingredients (onion through honey); cook for 5 minutes, stirring often. Add cabbage and kale; cover and cook for 5 minutes. Add cooked sausage meat; blend well then heat through; serve warm.